We haven’t had a plant fossil in this blog for awhile. Lepidodendron Sternberg 1820, pictured above, is one of the most common fossils brought to me in Wooster by amateur collectors. It is abundant in the Upper Carboniferous (Pennsylvanian) sandstones, shales and coals in this area. People sometimes call them “fossil snakes” because they are cylindrical and appear to have scales. 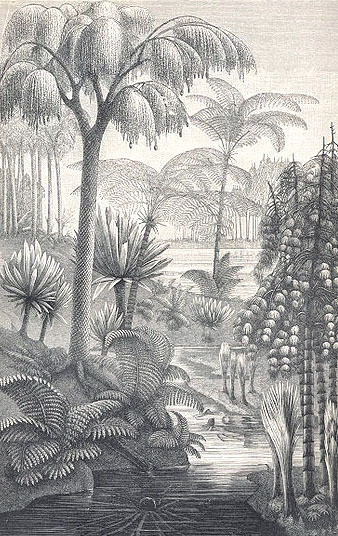 Appropriately, the extinct plants they represent are called “scale trees” (the literal meaning of the genus name). The fossil above is an external mold of the trunk of this tree-like organism. 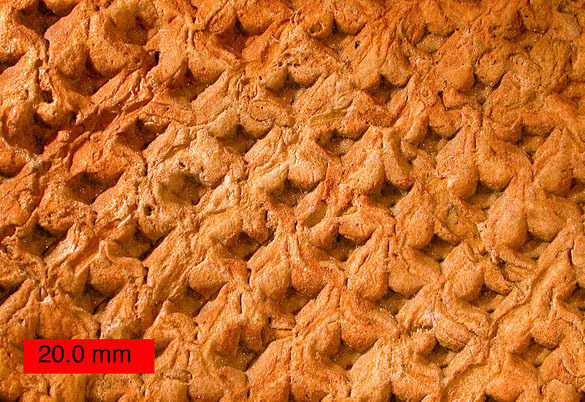 A plant as large and complex as Lepidodendron has many distinctive components that are often found separate from each other in the fossil record. These parts were given their own scientific names and only relatively recently were reunited into the genus Lepidodendron. The specimen above, for example, is traditionally known as Stigmaria and represents the roots of Lepidodendron. From Book 15 of the 4th edition of Meyers Konversationslexikon (1885-90; figure 10). Lepidodendron is the tall tree on the left. 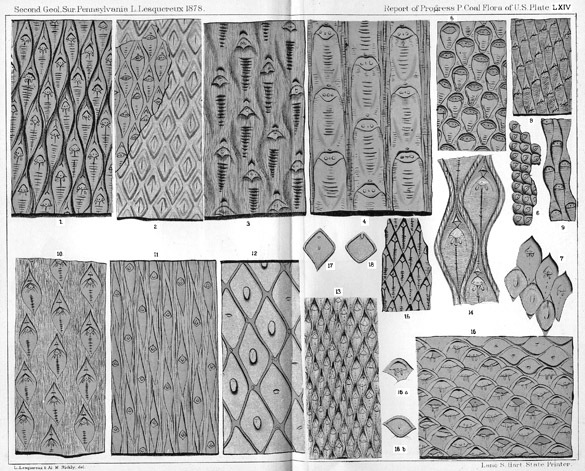 Diagrams of the trunk leaf scars (from Lesquereux, 1879). Lepidodendron was up to 30 meters high in Carboniferous forests. It was tree-like, branching at the top and with a trunk covered with leaf scars. They are often called “club mosses” but are really related to modern quillworts (Isoëtes). They reproduced by spores, probably only once before death. Lepidodendron was named and described by Kaspar Maria von Sternberg (1761-1838), a Czech naturalist who virtually founded the field of paleobotany. He was a philosophy student at the University of Prague when he began to collect fossils, minerals and plants, most of which eventually formed the nucleus of the National Museum in Prague. Oddly enough, he was also a theologian and received ordination in the Catholic church. He gave up his churchly duties early, though, and worked as a full-time scientist at various institutions in Central Europe. His description of Lepidodendron came from his deep studies of the fossils associated with coal mines in Bohemia. Lesquereux, L. 1879. Atlas to the coal flora of Pennsylvania and of the Carboniferous Formation throughout the United States. Second Geological Survey of Pennsylvania, Report of Progress. Sternberg, K.M., von. 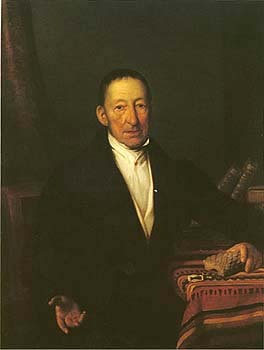 1820-1838. Versuch einer geognostisch-botanischen Darstellung der Flora der Vorwelt.